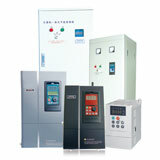 GK 3000 series variable frequency drives (VFD, or frequency inverter, AC drives) adopt advanced control methods to achieve high torque, high accuracy and wide speed adjustment drives, which can meet various requirements in different applications for AC motor speed controls. 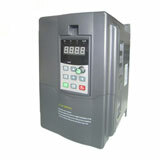 GK3000 series single phase VFD drives combine with customers' needs and industry requirements generic, provide practical PID controller, simple PLC, programmable input/output control terminals, remote synchronization control, pulse frequency reference and other special VFD control features, to provide customers with highly integrated solutions in equipment manufacturing and automation engineering to reduce cost and improve system reliability. Integrated textile wobble frequency function to make this single phase VFD can be widely used in various textile equipments. 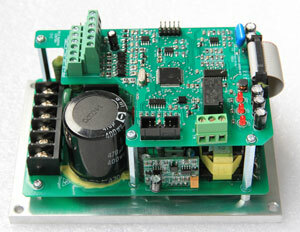 Why Single Phase to Three Phase VFDs are used? 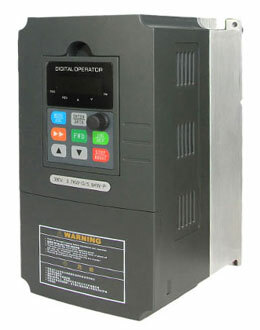 In the condition when you want to control three phase motors (220/230/240V rating) speed with single phase 220V / 230V / 240V power supply. 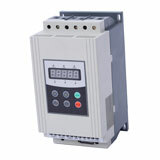 Can I use single phase 220V VFD to control three phase 380V, 400V or 415V motor? No. 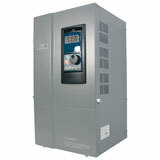 VFD can output variable frequency (0 to 400Hz), and variable voltage (maximum output value equal to input value). But can't boost voltage from 220V to 380V.